Collaborative effort to launch in fall 2018 with plans to expand to various communities across the state. BATON ROUGE, La. 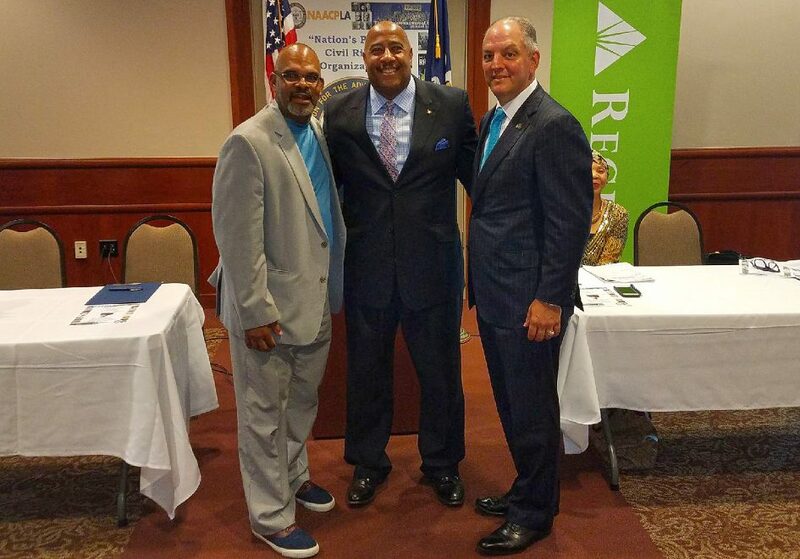 – Sept. 21, 2018 – Regions Bank and the Louisiana NAACP on Friday announced a new initiative seeking to empower more people across the state with essential financial and credit-management skills. The collaborative program is called Saving More, Spending Smarter. The initiative combines the community reach of the state’s local NAACP branches with the financial expertise and resources of Regions Bank. As part of the program, NAACP branches will organize community-based, interactive financial education events. Banking professionals from Regions will lead these discussions based on their extensive experience in helping people identify and reach their financial goals. Regions associates will also share top-quality financial education curriculum developed by the bank for use by anyone seeking to take charge of his or her financial future. Mike McClanahan, President of the Louisiana NAACP, said the program will cover a wide range of topics, such as developing healthy spending habits and understanding ways to successfully manage credit. The initiative will launch a pilot program in Monroe and Lafayette this fall. Based on feedback from participants, as well as the greatest needs identified in local communities, the Louisiana NAACP and Regions will further customize the program with plans to expand it to more communities throughout the state. Financial education is crucial to the mission of Regions Bank, which is to make life better in the places Regions serves. The bank constantly makes no-cost financial education available through schools, community groups and additional nonprofit organizations across the Southeast, Midwest and Texas. Regions also works with various employers to share financial education among their workforces.